A fabulous and unique looking plant that thrives in the sun. Tolerates both sea spray and periods of dryness. The finely divided foliage is light green. 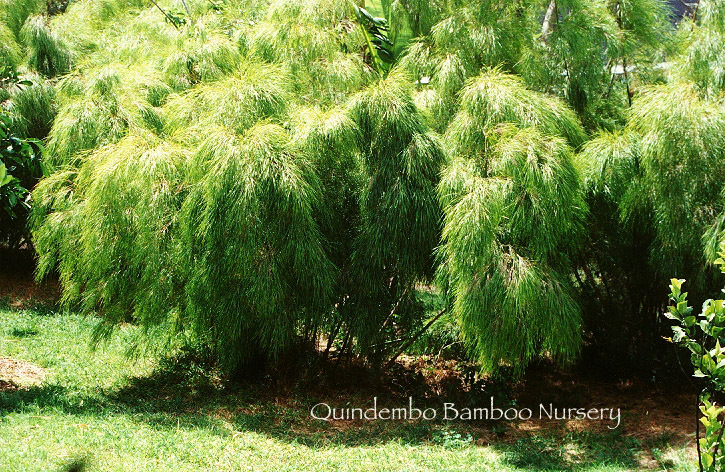 One of our most popular plants, this bamboo also does well in patio containers. Good wood (solid canes used as pegs & dowels) and an edible shoot. Generally 12-15 feet tall but easy to prune to desired height.